You’ve got your ghostly outfit ready, menacing make up worked out and spooktacular party in the diary…all that’s left to complete is a ‘hair raising’ do? 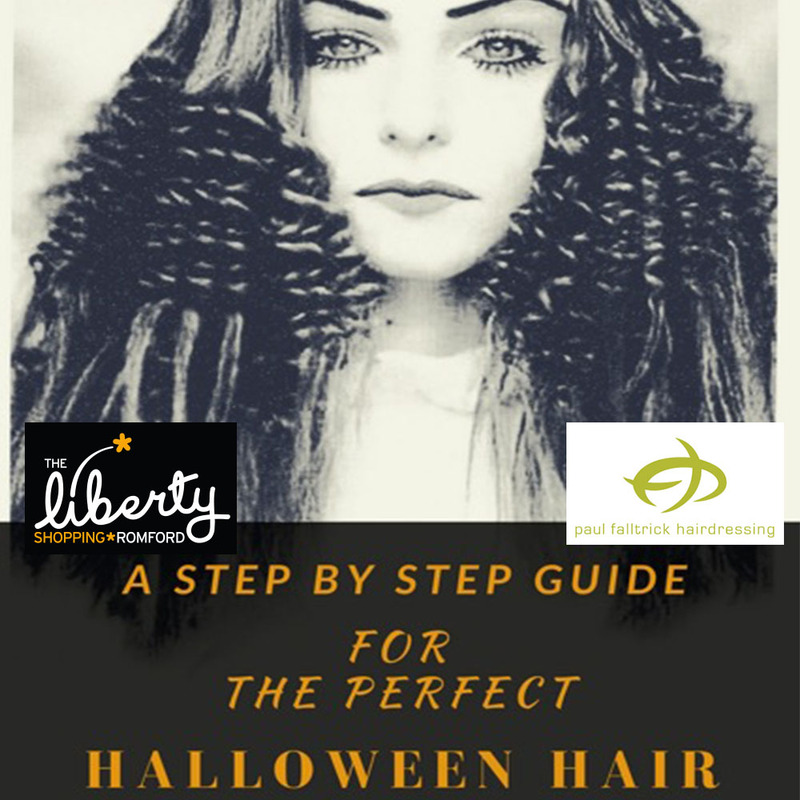 Why not try this step-by-step guide on how to achieve the perfect Halloween hairstyle for your frightful festivities, you’ll be sure to turn heads for all the right reasons! Paul Falltrick Hair & Beauty Top Tip: If you don’t have a crimping iron, you can also achieve this look with a straightening iron and U Pins (available at Boots in The Liberty. For this alternative, you would wrap the hair in and out of the prongs in a figure-of-eight, leaving the ends out. Apply the straightening iron on a medium heat for 5 seconds at a time. Step 4: For more volume and fuller ends, backcomb the bottom third before spraying the whole head with L’Oréal Infinium hairspray. Paul Falltrick Hair & Beauty Top Tip: Why not complete the look with a dark contour using make-up from Pairs in The Liberty? Sweep a dark shadow across your eyes and in the hollows of your cheeks (make sure to blend), choose a vampy lipstick, (we like black for the full effect) and extra full lashes. All hair products are available at Paul Falltrick Hairdressing, but if you’re not quite ready to try this on your own, why not pop in for a bespoke look that’ll scream Halloween?